The film festival founded by Roger Ebert will return in April for its 21st year, screening the same number of films, but on a shorter schedule. CHAMPAIGN, Ill. — Passes for the 21st annual Roger Ebert’s Film Festival, or “Ebertfest,” will go on sale Nov. 1. The festival schedule is getting a revamp in 2019, when it will run four days instead of five. The April 10-13 festival will open Wednesday evening and close Saturday evening instead of Sunday afternoon, as it has in the recent past. 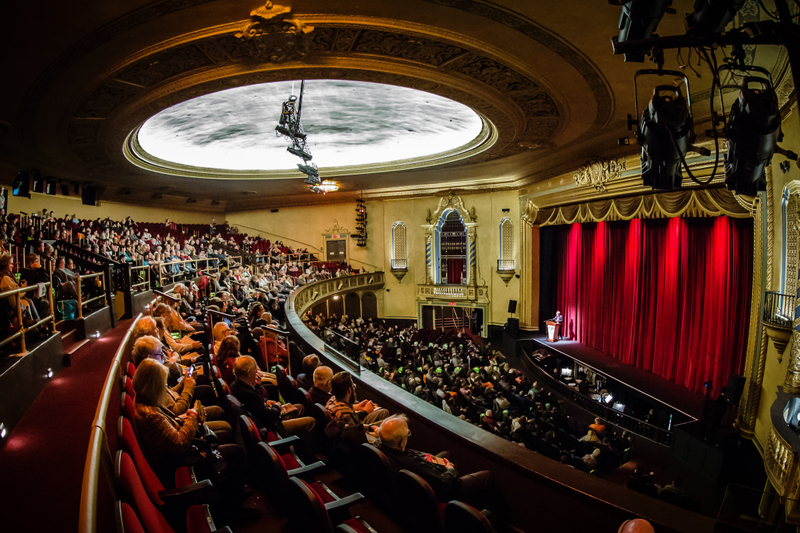 “Ebertfest” films are screened in the ornate Virginia Theatre in downtown Champaign. 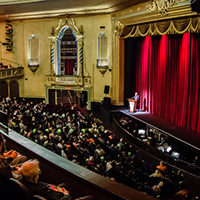 The festival passes cover all 12 or more screenings during the festival, held in the ornate Virginia Theatre, a restored downtown Champaign movie palace. Related talks and panel discussions may be held at the Hyatt Place hotel in downtown Champaign and at the University of Illinois at Urbana-Champaign. In addition to celebrated films, the festival presents cinematic works overlooked by audiences, critics or distributors. 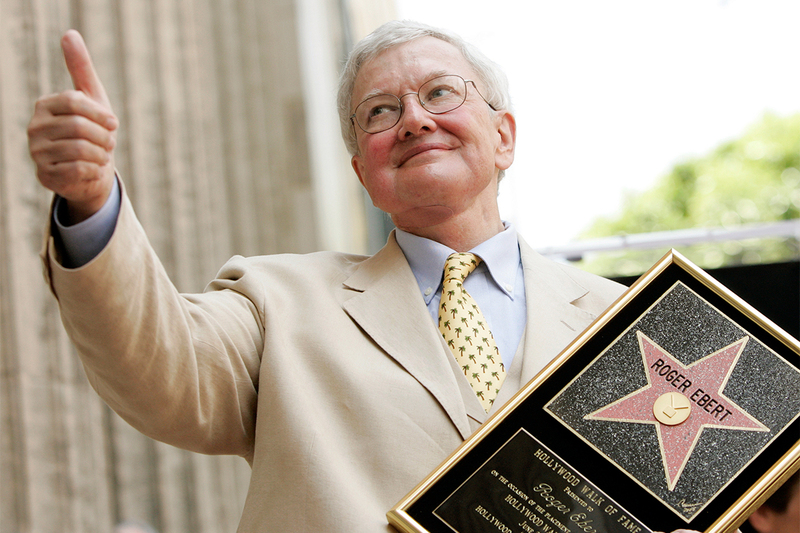 It was founded by Ebert, an Urbana native, U. of I. journalism graduate and Pulitzer Prize-winning film critic for the Chicago Sun-Times who died in 2013. Chaz Ebert, Roger’s widow, is the executive producer of the festival and its host; Nate Kohn is the festival director. The lineup of films, guests and other events will be announced several weeks before the festival, which is sponsored by the U. of I. College of Media. The passes are $150, plus processing. Four passes purchased together are $510 instead of $600, or 15 percent off. Also available are a small number of U. of I. student passes priced at $100 each. One thousand passes will be available. They can be purchased through the festival website, the theater website or the theater box office, 203 W. Park Ave., Champaign, 217-356-9063. Updates will be posted on the festival website. Tickets for individual movies will be available April 1.